The contemporary technology has provided the world immense inventions since last a decade. Now everyone has Android phones in their hands and using its plenty of different features for many different purposes. However, the modern cell phone devices are not enough, because it also creating issues in our lives. Anyhow, in order to meet with the cell phone and cyberspace challenges, the technology has been taken a further step in the shape of smartphone monitoring software. There is a number of software that enables a user to track the activities of a target cell phone device. The cell phone monitoring apps have plenty of outstanding features that help out users in various ways such as monitor messages, IM’s social media, keyloggers, text messages, chat conversations media files in the shape of photos and videos. Moreover, having all of these features in a particular Android cell phone monitoring software call recorder is the ultimate and most demanded features of all time. Let’s discuss TheOneSpy call recorder for Androids. This particular feature that TOS has introduced a couple of years ago, has the ability to secretly record voice messages and & calls with great accuracy and with sheer efficiency. It enables a user to get access to the target phone voice messages and calls and after getting access it also able to record it along with the complete time stamp. The user can listen to all live calls and record it and even view the contact information of a person. The user can listen and record all the inbound and outbound calls on the target mobile phone. The user can listen to incoming and outgoing calls. The user can record the incoming and outgoing calls. The user can get to know the caller or by who calls has made. The user can store all the recording of calls and voice messages into the dashboard of call recorder for Samsung. TOS automatic call recorder (ACR) has the power to record live calls and voice messages by default. All the voice-related activities and a call related happen on the target android device, it enables a user to listen to and record calls and voice messages. The user can get their hands on the voice and calls related activities on the target phone whether it is social media apps calls and voice messages such as Facebook call & voice messages, Whatsapp, Snapchat, Yahoo, Line, Skype and plenty of others alike. The user can also record and listen to the calls incoming or outgoing on a cell phone device. In short, we can say that it is an automatic call recorder, that has the ability to record the voices and calls automatically when it is installed on the target device. On the other side, other call recorder apps are only capable of recording the incoming and outgoing calls and voice messages of limited contact numbers and social media apps. 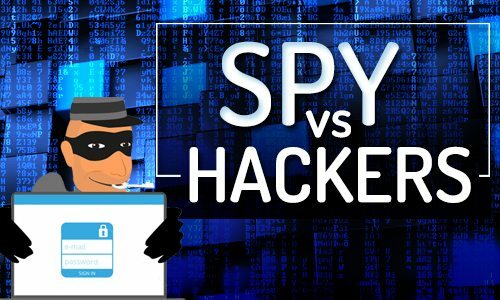 So, it is clear and arguably can be stated that TheOneSpy call recording software is the best among all that enable a user to record listen to voice-related activities such as calls and voice messages by default. If cell phone spy software has the entire features which are robust, but it does not have call recording feature, then it would be very difficult for android spy app to make it at the top. The user can use it with the help of TOS control panel, he/she just needs to install TheOneSpy cell phone monitoring app, once you have installed the app on the device. Then activate the software and make a click on the user from the top right side of web page and fill up credentials in the shape of password and username in order to login into TOS dashboard. The mobile call recorder also capable of recording the calls and voice messages of all the trendy instant messaging apps such as Facebook, Yahoo, WhatsApp, Line, Skype and plenty of other alike, let’s discuss the features of best call recorder for androids. Parents who always get worried about young kids and teens activities sticking all day long with their Android phone devices, and employers who want to improve company’s customer care department and conversation happen on company-owned devices, they should use TOS call recording software. It enables parents to get their ears on the calls and voice messages incoming or outgoing on the android phone. Parents will be able to know whom kids and teens are talking to and what kind of conversation they have on the phone. Parents can also get the complete information regarding the caller contact number. It enables parents to keep them updated regarding the activities of young kids and teens on instant messengers’ calls and voice messages. In-case if kids and teens are going on the wrong path that can harm them, parents can do the immediate action to protect kids and teens. On other hand employers that want to monitor their employee’s calls on companies owned devices in order to examine the customer care department that how they deal with the customer and what sort of behavior they have with the customers. Having such type of robust call recording app of TOS android monitoring software enables parents to listen and record kids and teen’s voice and call activities and employers listen to their employees on company’s devices. The automatic call recorder is the best solution and ultimate solution for parenting and for employers to keep their ears on employee’s calls on company’s devices. The user can listen and record live calls on android cell phone device and the user can also record calls and voice messages on instant messaging apps. Note: No matter the target cell phone device is rooted or not. You may use the TOS call recorder app on your android device without rooting. The supreme cell phone spy app of TOS enables a user to track live calls on the target device and they can also listen, and record the live calls. It further empowers users to listen to incoming and outgoing calls, listen to live calls; a user can get the information of a caller and then store all the information on web control panel. It allows the user to get into the territory of Skype social messaging application. It means that user can get covert entrance into the Skype voice messages and conversations and also get access to the Skype audio and video calls to the fullest. If a user wants to get access to the Skype messenger than install the TOS call recorder for Samsung and do whatever you want to. It is very helpful for parents to set parenting on the android devices and for employers to listen what sort conversations employees are dong in the shape of calls and voice messages. Skype is one of the most popular social messaging applications for live calling. It empowers you to get ingress into the domain of popular social messaging app known as Whatsapp. Once you have got the access to the messenger you can record and listen to the short voice messages sent or received and all the conversations audio or video happen on the android phone instant messaging application. Once a user has complete access to the WhatsApp messenger, a user can store all the recorded WhatsApp calls and voice messages into the web dashboard that help out a user to examine the nature of calls and voice messages. The user can use this app in order to get their hands on IMO voice messages along with the complete time schedule. The best call recorder for androids has the ability to capture voice calls sent or received on the device along with the complete time schedule. In-short IMO messenger can be trackable and parents can monitor voice messages and calls in order to protect them from stalkers and sexual predators. Now parents should use the TheOneSpy call recording software and put their worries to rest. The user can get into the Telegram instant messaging applications and get their hands on Telegram messenger voice and monitor all audio messages sent or received along with the accurate time stamp. 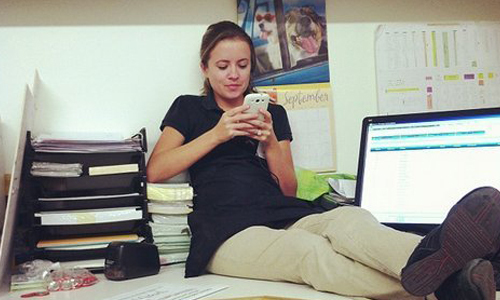 It is one of the most popular social messaging apps among young teenagers. So, parents should use the telegram voice messages to record telegram voice messages on an android phone. It is one of the best tools for parenting in modern times. It is known as one of the most classical social messaging apps, and also popular among all generations. The user can do one on one audio and video call on the messenger. Therefore, young kids and teens also make audio and video calls. Parents can listen to the audio voice messages and video calls by using the Yahoo call recording app along with time stamp. Call recording has huge importance in the world of android cell phone spying software. 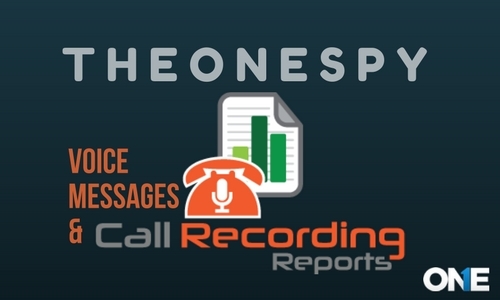 If you want to track all the voice messages and calls of someone, then TheOneSpy call recorder is the set of tools for recording live calls and voice messages. Previous post Uncontrolled Internet Access at Workplace – What are the Menaces? Next post How to Record WhatsApp Video Call Remotely?